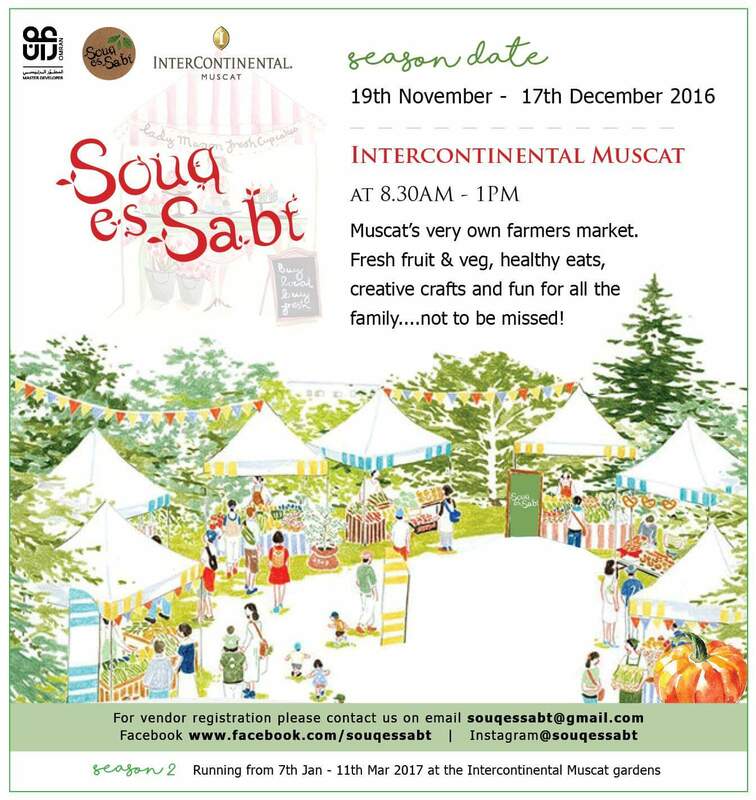 Starting this Saturday the 19th November and running until the 17th December (every Saturday that is) between 8:30am and 1pm Muscat's very own farmers market is returning (and then they come back again after the new year between 7th January to 11th March 2017). Thankfully this time to a place closer to my house than the traffic disaster that is The Wave Al Mouj. I went to this market once or twice before when it was up at Al Mouj and there are usually a few fun things to do. For more information you can always check out their facebook page and Instagram. Or of course if you're that way inclined, you can email them too.